My name is Stephanie Kitchen, I am a Crystal Light Bed Therapy Practitioner. I first started my research into alternative holistic health methods about 11 years ago for myself and close family members. This research opened me up to the world of meditation and showed me how we can each work within to ourselves, on many levels of mind, body and spirit for inner healing and guidance. I have always had a personal connection with the crystals and stones created by Mother Earth. I love the mystery of Mother Earth and her precious crystals and how they can assist us when we work with them when setting and honoring our intentions. I follow my heart and intuition to guide others who are interested in learning alternative methods for improving their wellbeing. When we can open ourselves up to new methods of healing, this is where true transformation happens. 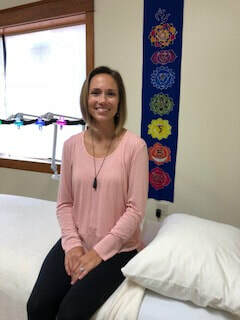 This is an exciting time for me to be joining Blue Horizons Wellness Center and to be available to anyone seeking an alternative therapy for balance, cleansing & rejuvenation with Crystal Light Bed Therapy. Stephanie's Photo will be here soon!